The Kenwood Interdisciplinary Research Complex, KIRC, is an over 140,000 square-foot building on the UWM campus designed by Flad Architects. Completed in 2015, the building was the first new construction on campus in two decades. The building houses the college’s science, technology, engineering and mathematics departments. 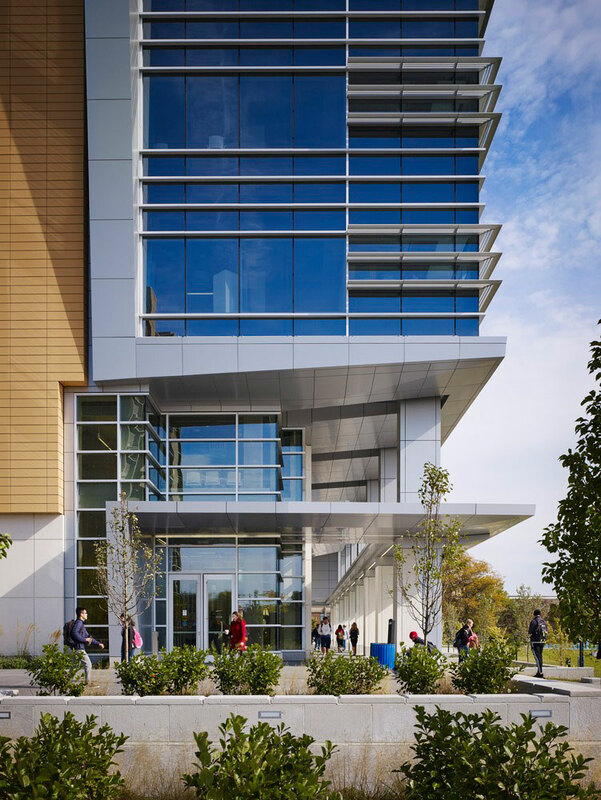 Fabricated by John W. McDougall Co. Inc., the project utilizes 52,000 square feet of ALPOLIC®/fr BSX Silver Metallic and 3,200 square feet in a custom COT Terra Cotta. ALPOLIC utilized their color-matching abilities to provide an exact color match to the architect’s intended terra cotta finish. Each finish is infused with Lumiflon FEVE resin technology, supplied by Sherwin-Williams. 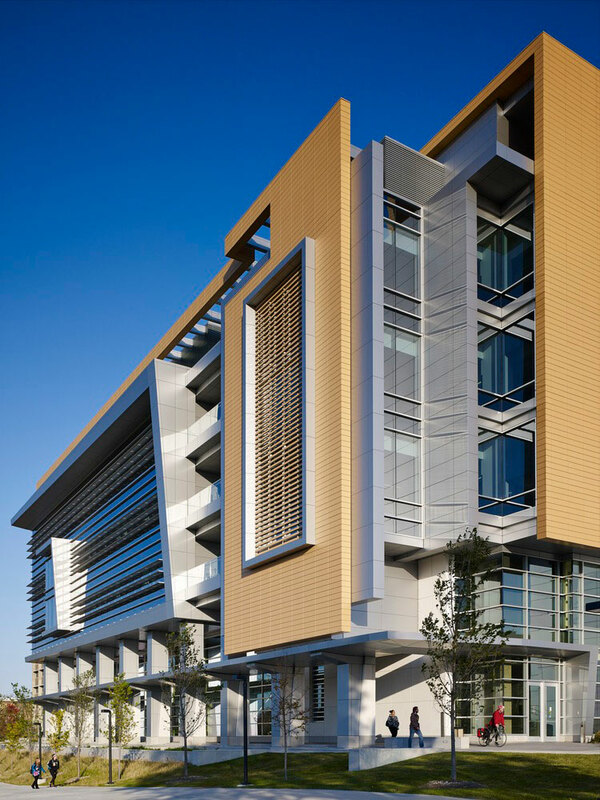 The addition of fluoropolymer resin allows for unparalleled gloss and color retention, ensuring the panels achieve longevity and sustainable performance. 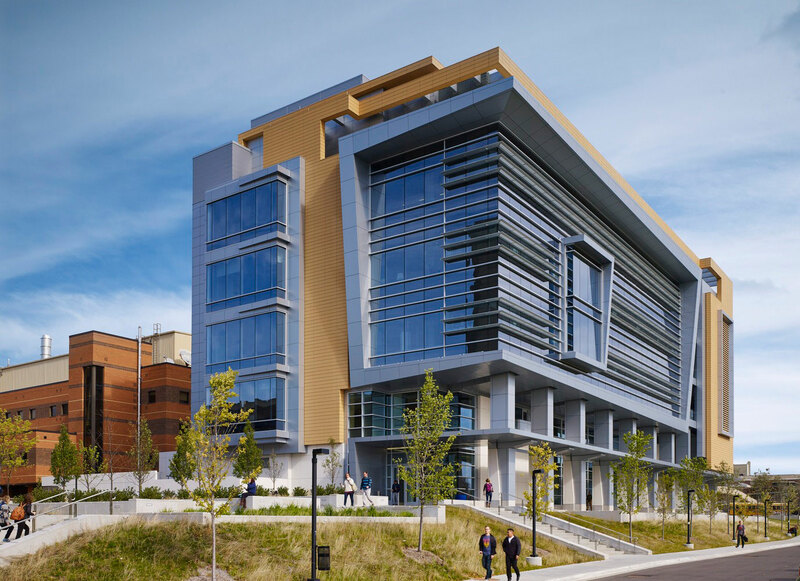 Since its construction, the project has received three of Wisconsin’s InBusiness Magazine 10 Commercial Design Awards in 2016: Best New Development or Renovation – Education, Best Green-Built Project and Project of the Year.